Mahershala Ali has all of a sudden become a hot property in Hollywood so that TVTone felt the need to pose the ridiculous question “Is Mahershala the new Idris Alba?” Seriously? All I can say is ‘Dris is ‘Dris and they can both exist in the same space without overshadowing each other. The question was prompted becasue Mahershala is on the front cover of the July issue of GQ. People have been losing their minds, obviously. Not that they didn’t lose their minds when Hidden Figures and Moonlight hit the big screens. Ali’s star is on the rise and people have been acting like he’s the second coming of Idris Elba but dude’s been around from time. I mean, just because hollyweird has been sleeping on my guy doesn’t mean he hasn’t been putting in the work elsewhere! I personally fell for him when I first saw him in The 4400. Ali played the softly spoken, fighter pilot Richard Tyler. Richard Tyler was one of the many abductees in the show and his background story of a black man dating a white woman in 1950s America, endeared the character to me. Tyler had been beaten up by his fellow officers when they found out that he’d been seeing a white woman. When he is plucked out of his time and placed in 2007 where dating a white woman ain’t really a thing, Richard falls for another white woman who looks just like his Lily. If you haven’t seen The 4400, I’m not going to spoil it for you but I must ask: where you been? Mahershala next popped up on my TV screen in an episode of the short-lived Alcatraz before bursting onto my screen again as Nathan Clay in another short-lived series, Alphas. Why is it that a lot of the shows I like get yanked before they can grow? Anyway, what I’m saying is I saw him first! No, that’s not what I’m saying. Mahershala has been treading the boards and learning his craft for a long time, long before I even laid my lustful eyes on him but it’s his role as Cornell ‘Cottonmouth’ Stokes in Marvel’s Luke Cage that got people really taking notice. Even though Cottonmouth was on Team Bad Guys, I loved the character. And now that Mahershal is an Award-winning actor whose face is firmly in your mind, if you cast your mind back you might even remember seeing him in The Curious Case of Benjamin Button or even The Hunger Games: Mockingjay. I’ve personally loved him in everything I’ve seen him in. 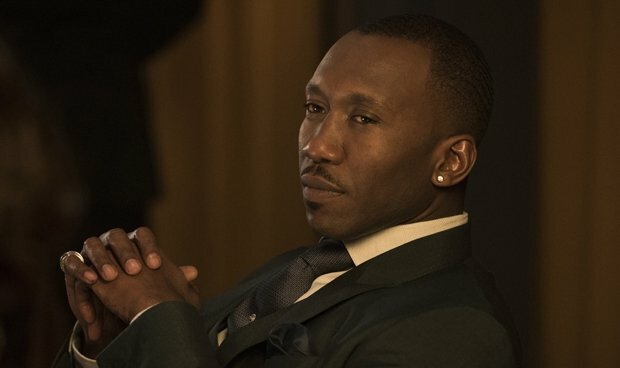 I don’t know why it’s taken this long for Mahershala to get where he is but I’m glad he’s finally ‘arrived’ and I don’t mind sharing him with you all.